My parents-in-law are among the best in the world. From Norwegian stock, they are gracious, loving, self-effacing, fun-loving and generally unruffle-able people. I enjoy them a lot. These wools, in part from Scandinavian sweaters, remind me of them — quiet and low-key. Because Norway and its northern neighbors are all such cold places and already have an abundance of blue, I decided to add some warmth — thus, the hot-pink block. 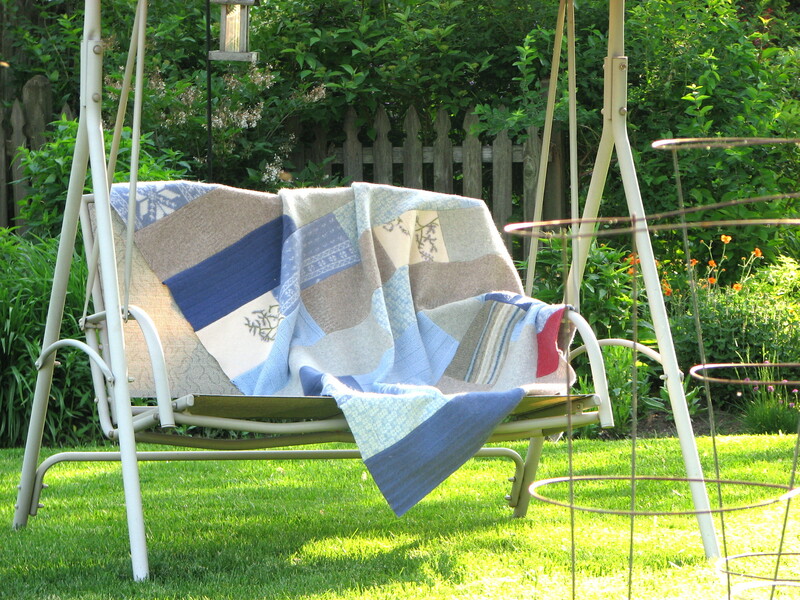 When it was completed, this blanket went to live with my in-laws in sunny San Diego.